Baqueira Beret is the largest ski resort in Spain. 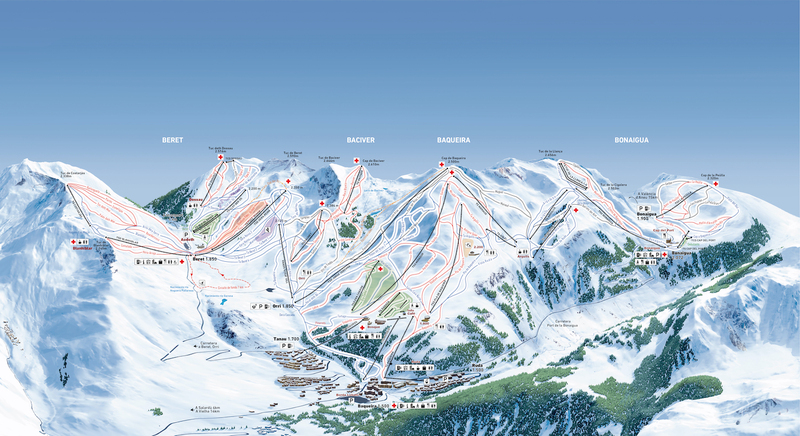 This summer it has remodelled some of pistes to reach a total of 150 km. To these we add more than 5 km of mountain itineraries which give the skiers the opportunity to enjoy spacious areas with few skiers while discovering the unknown corners of the Val d’Aran. With this remodelling, Baqueira Beret moves forward reaching a total of 103 marked pistes and a un paralleled freeride area in Southern Europe with more than 2.166 skiable hectares. These together represent a very attractive reason to come and enjoy the most authentic Pyrenees Mountains. Together with Val d’Aran, the resort represents a great destination for all kinds of passionate skiers.